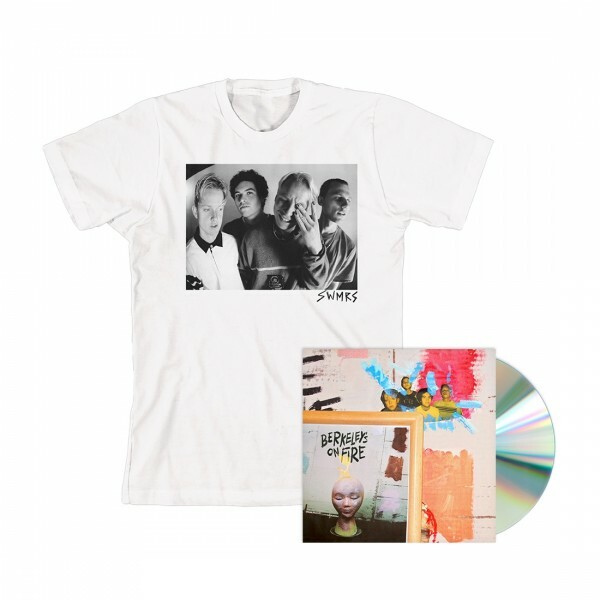 The SWMRS 'Berkeley's On Fire' bundle here features a t-shirt with the band photo and name on the front. The bundle also includes the CD version of the album. All bundle pre-orders will receive a physical copy of the SWMRS Zine, the first 300 orders will included an autographed version of the zine.